Hair Review on Mizani Butter Blend Relaxer Touch Up for the Holidays!!! So on the first Friday of November, I had my new growth of hair which was about an inch and half "touch up" with the Mizani Butter Blend Relaxer System at the Sylvain Melloul International Hair Academy located within River Ridge Mall, Lynchburg, VA. My graduating student stylist, Karrie gave me an AMAZING salon experience as she expertly prepped, applied, shampoo & condition, and then style my relaxed hair!! Thank you Karrie and good luck in your salon Karrie!! After 4 years, I have no other relaxer brand except Mizani Butter Blend which is gentle and conditioning to my dry hair and scalp!! If you desired to get your hair ready for the Holidays, go to their Facebook page and setup an appointment TODAY!! Or if you have a passion for hair and beauty, asked about their class schedule for a new career in the New Year!! I will post new hair styles for November so follow me here at my blog!! Looks great! Glad you had such a good experience. I've only recently found a stylist I love and trust! I am very happy with the stylist...Karrie was very experienced and polite with the relaxer process!! It's always great when you have a fabulous salon experience! So important! I have nothing but praise for this salon school and its staff! Even if there is a mistake, they are very professional about it! Thanks, Laura. 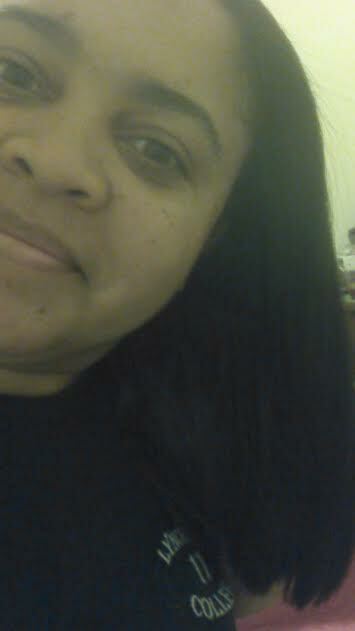 I love how my hair feels after a Mizani relaxer and using Mizani style products for the end result!